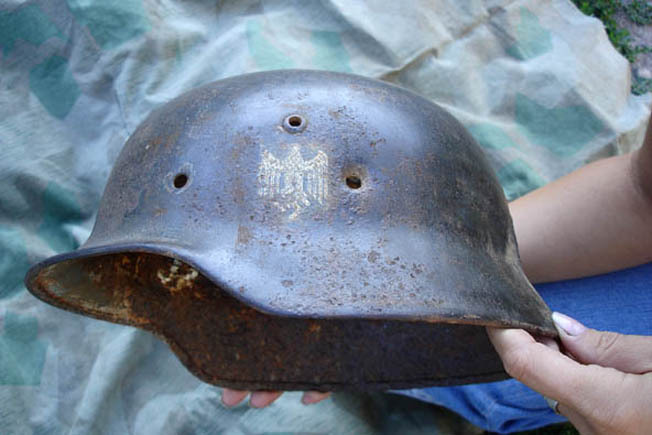 Here is another interesting helmet, the model 1935 was designed with two holes: one for vent and the other for liner. The third hole on this helmet is from a bullet with no outlet. It is one on right side from the emblem, which I think might be the target for a sniper. Outside this helmet look good, even original paint remains, inside it is rusted, it is because it was on a soldier, organics ate it. Organics stain metals in a different colors. 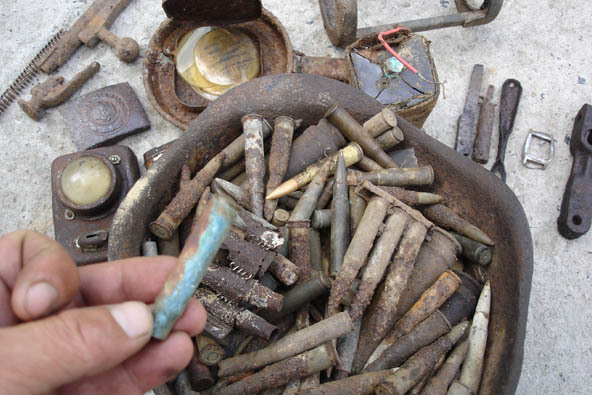 Look at this brass shell, if you find such, then soldier must be near. The trenches of a fortified area eventually lead us to this monastery. It stood in line with bunkers and have been a very good fortress, thick walls, catacombs. 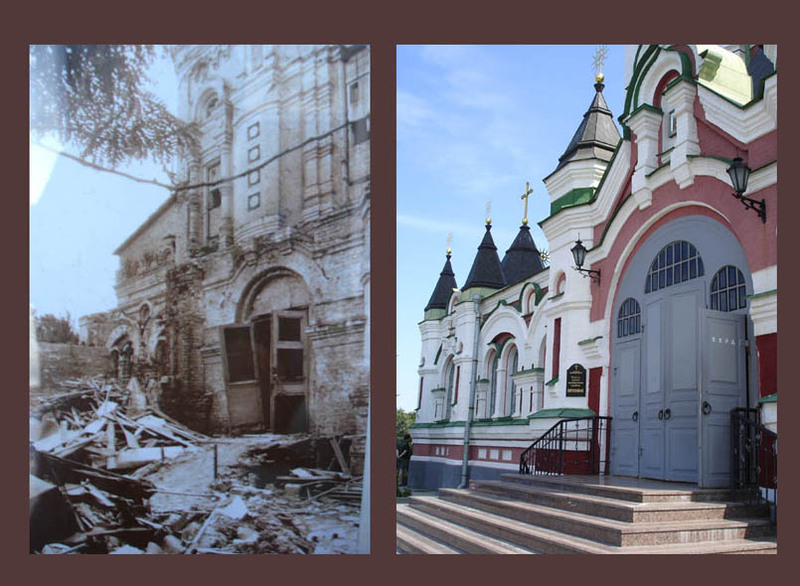 At late thirties, communists already killed the monks or sent them to a prison labor camps, so the monastery stood empty. 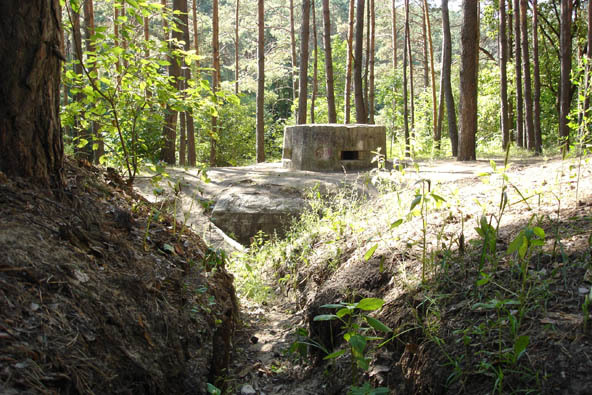 In August 1941 there was fierce fighting here. Each side lost about 2 rifle battalions.